It is not the time to panic! There are strategies that can be used to assist Multi-employer plans outside of benefit cuts. KCS has produced several papers on the subject. Also, please don’t hesitate to reach out to us if we can provide any assistance to you regarding your financial assets and liabilities. It was reported in yesterday’s WSJ that International Paper has settled a law suit with 10 current and former employees related to their 401(k) plan. 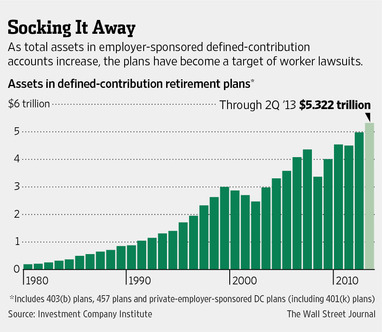 (The article follows my brief note) We believe that the DOL and other regulatory agencies are preparing for greater scrutiny of defined contribution plans (401(k), 403(b) and 457 plans) as a result. It has been reported that the DOL has increased their field forces to perform DC plan audits. With all of the reporting changes that have been put in place in the last several years, plan sponsors need to pay greater attention to what is expected of them in administering their defined contribution plans. DC audits can be onerous and we suspect that many plans would have negative findings taht may result in fines to the organization. In addition, the regulatory agencies are reviewing plans of all sizes. Are you ready? Call us, if you feel that you might need some assistance minimizing the risk against a potentially poor outcome in a field exam / audit. At KCS, we can perform a fiduciary review to make sure that your plan is in compliance with current regulations. Call us. 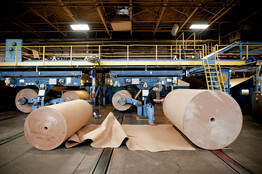 International Paper Co. IP -1.66% and 10 current and former employees agreed to a $30 million settlement in a suit over the company’s 401(k) plans. The company agreed to distribute the money among some 70,000 individual workers’ and former participants’ accounts as well as put the plan’s administration out for bid. Workers in a variety of industries have filed claims against more than two dozen workplace retirement-savings plans in recent years over allegedly high fees and unsuitable investments. The cases are starting to work their way through the courts, with workers scoring legal victories and forcing changes in the way some plans operate. The International Paper pact is believed to be the second-highest payment in disputes over retirement-plan fees. The International Paper settlement is believed by retirement-plan litigators to be the second-highest payment to date in disputes over retirement-plan fees. “I think this one of the most impactful things to happen in the 401(k) industry in decades,” said Marcia Wagner, a Boston lawyer who specializes in employee-retirement-plan law and represents plan sponsors and administrators. In the International Paper case, workers alleged in a claim filed in 2006 in U.S. District Court in East St. Louis, Ill., that the company’s 401(k) plans for hourly and salaried employees violated the Employee Retirement Income Security Act, or Erisa, the federal law that covers a wide range of workplace retirement plans. The claim alleged that International Paper maintained its own publicly traded stock as an investment option, paid “excessive” fees for record keeping and investment management, and “fraudulently” reported performance histories for the plans’ funds. The plaintiffs also claimed that the company improperly delayed making contributions to the plans and retained interest earned on those contributions for corporate accounts, according to the settlement. International Paper, which was the plans’ sponsor, denied all the claims. It said the fees paid to the plan’s service providers, including J.P. Morgan Chase & Co., are “prudent and reasonable,” and that its 401(k) plans have offered “a broad portfolio of prudent investment options,” according to the settlement. Nearly 73 million U.S. workers and retirees had 401(k) accounts as of Dec. 31, 2011, according to the latest data available from the nonprofit Employee Benefit Research Institute. Defined-contribution plans, including 401(k)s, held $5.3 trillion as of June 30, according to the Investment Company Institute, a trade group. Following several claims, the U.S. Labor Department issued a rule last year requiring 401(k) administrators to better spell out fees being charged to plan sponsors and participants. The largest amount negotiated to date in a 401(k) fee case is believed to be the $35 million preliminary settlement reached in July by Cigna Corp. CI -0.41% workers. Their claim alleged that the company’s 401(k) plan breached the Erisa law by selecting itself as plan administrator and by offering “imprudent funds” as investment options. Cigna has denied the allegations and declined further comment. Workers in the International Paper and Cigna cases were represented by Jerome Schlichter, a St. Louis lawyer who has filed 14 claims over 401(k) fees or self-dealing in the past seven years. In September, workers who sued Boeing Co. BA -2.21% over 401(k) fees were granted class-action status in U.S. District Court in East St. Louis. A Boeing spokesman declined to comment. 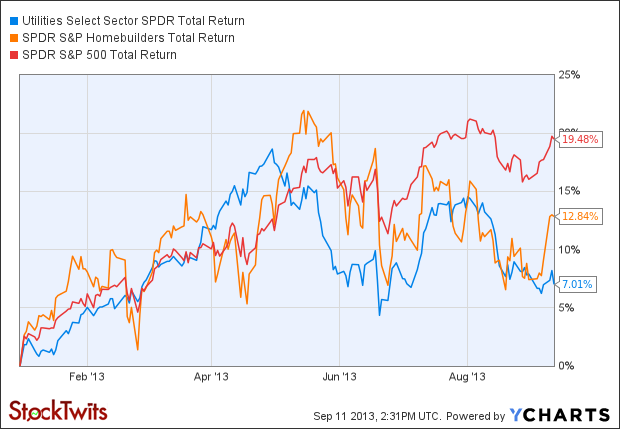 And in August, workers at Lockheed Martin Corp. LMT -1.80% who alleged in a federal lawsuit that their plan’s stable-value fund was improperly invested in money-market funds won a reversal of a denial of class-action certification from the Seventh U.S. Circuit Court of Appeals in Chicago.